The UK India Social Entrepreneurship Education Network is organizing the event in collaboration by the IIT Madras' Centre for Social Innovation and Entrepreneurship (CSIE). 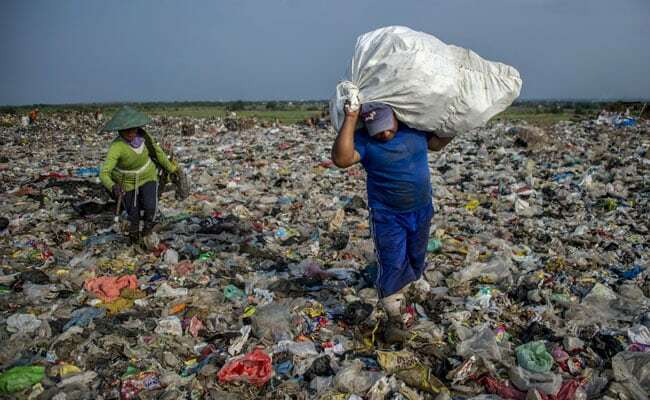 Indian Institute of Technology (IIT) Madras, in collaboration with other institutions, is organizing the second edition of UK India Social Innovation Challenge 2018 to find, fund and support innovative and sustainable solutions that provide efficient ways to manage waste. The UK India Social Entrepreneurship Education Network is organizing the event in collaboration by the IIT Madras' Centre for Social Innovation and Entrepreneurship (CSIE) with the Social Impact Laboratory at University of Southampton, Open Innovation Platform Babele and with the support of the British Council, said a statement from the Chennai-based institute. The collaboration is targeted at students who have a plan, design, project or a start-up in the waste management sector. "Waste management is a great example of a need that a social entrepreneur can fill best. Voluntary efforts can only go so far. I'm delighted to see CSIE enter into this partnership. I'm sure some viable solutions will be forthcoming. Equally importantly, these youngsters will be getting exposure to various facets of social enterprise," said Prof R Nagarajan, Alumni Community Chair Professor, IIT Madras while speaking about the importance of this Contest. According to IIT Madras, any current university student from any year of study or discipline from the UK or India is eligible to engage in this competition. Students may take part in a team or as an individual. The competition has a prize fund of UKP 2900. The last date for Registration, which can be done at https://babele.co/#!/pro/uisic, is November 4, 2018. The project could be in Idea, prototype or start-up phase, said the statement. "By the end of the application, students would have learned the key aspects in a Business Model Canvas, they can also seek support from the peers in the network. If they already have a business case, they will be able to refine it by receiving suggestions," it said. Students may contest as a team or individual participants and the winners will get a chance to get exposure to the various entrepreneurship related initiatives at IIT Madras through CSIE. Students will be able to learn how to position the product/services in such a way that it will be sustainable. The participants are required to fill up a Social Business Model Canvas, the template of which is available on the competition platform. The applications will be evaluated along three metrics: Innovation, Sustainability and Understanding of the problem area. "This is a unique opportunity for students to be part of a larger network of students, academicians and mentors from Indian and UK. The competition aims to create a vibrant network to promote collaboration and best practice sharing in the field of social entrepreneurship between the U.K. and India," the statement said.